A Castle Point planning meeting was held at the Council Offices in Runnymede Chase on 23rd March 2011 to discuss the plans for Morrison’s supermarket to develop a new, larger, store on the Lookers site adjacent to their present building, which would be knocked down to extend the car park. Members of the public were invited to speak for or against the project. The plans (which had been amended from the original design) were passed with only one vote against. 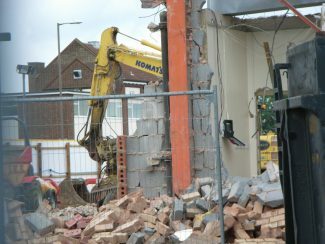 Shortly after this, demolition work began on the Lookers site, which included an old red brick building where the Kingsway cinema used to be. The Kingsway cinema was opened by Gracie Fields on 27th April 1936, closed in 1959 and eventually demolished in 1970 after having been a venue for bingo and dances. 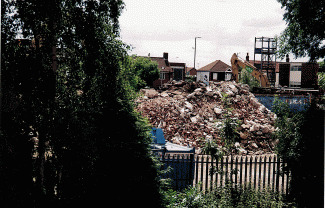 A Safeway’s supermarket was built on the site after demolition, which then moved into a larger store in the early 1980s and House of Holland moved into the old store beside Solby’s Lane. 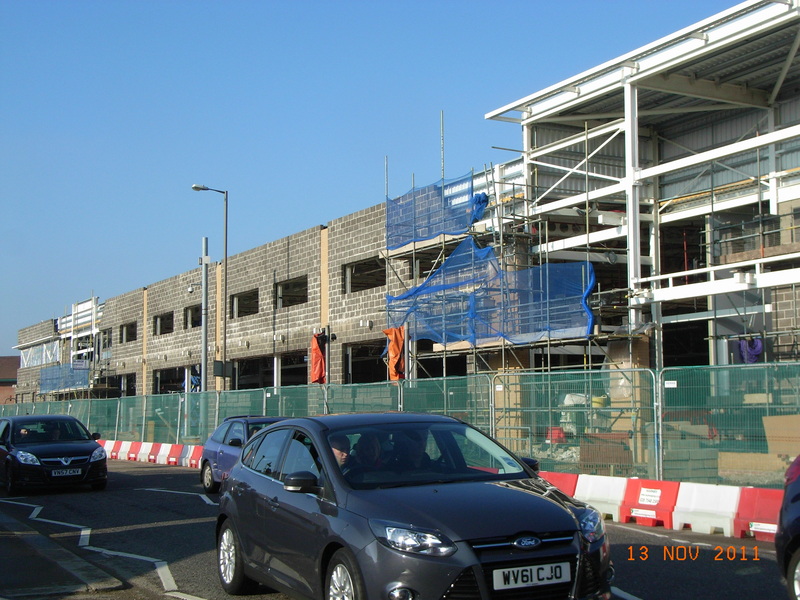 A photograph of the Kingsway Cinema ( in “Oscar winner.. “) shows, to the west, the petrol pumps of Central Garage. 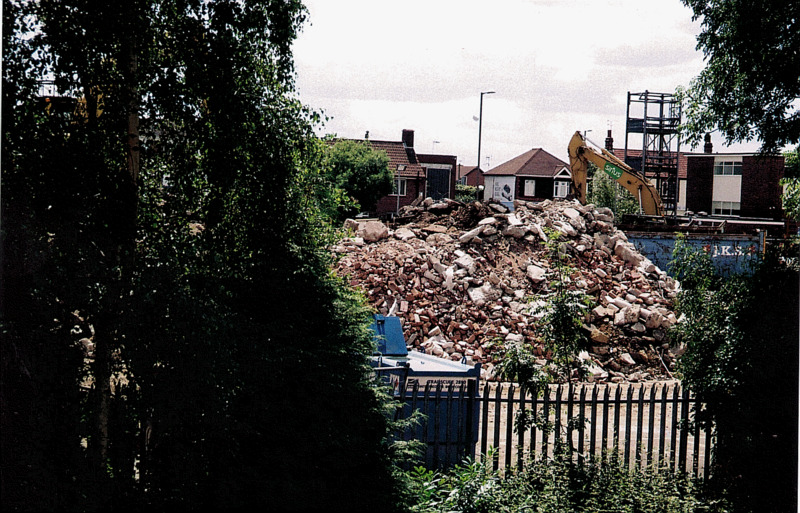 In the 1970s and 80s, Perry’s garage was on that site, selling and repairing cars but not selling petrol; they moved to Stadium Way and Lookers Rover and Land Rover dealership took it over, including the red brick building in their complex. Before construction began, an archaeological survey was carried out which showed some post mediaeval CBM (ceramic building material i.e. brick and tile). The 1847 tithe map shows the area was pasture owned by Wells and Perry, a brewers. The London Road was constructed in 1924 to serve as a bypass for the congested High Street. Old photographs show it bordered by open land, when the Kingsway shopping parade went up there were no buildings on the north side. Construction began in 2011. The next stage is to demolish the existing Morrison’s building, which was formerly Safeway’s store (after they moved out of their first building as mentioned above). 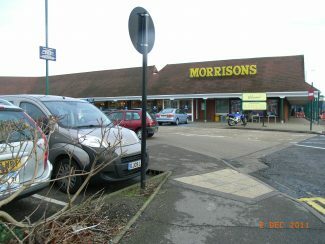 This space will be used to extend the car park, which the council say Morrison’s have agreed can be used as a town centre car park. 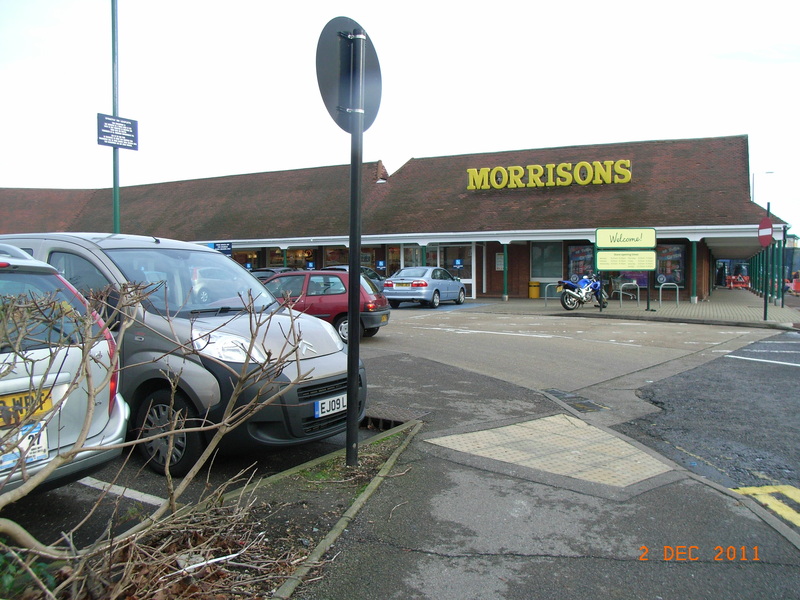 Morrison’s site will now extend from the border with McCarthy and Stone’s retirement flats (formerly the Waggon and Horses pub) to Solby’s lane. 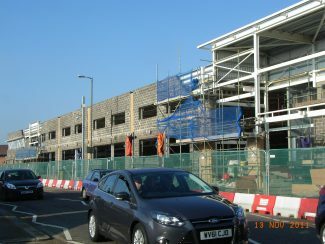 The new store is due to open in January 2012.